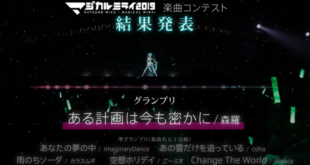 Home / Community / Hatsune Miku GT Project 2019 Theme Song Contest Details! 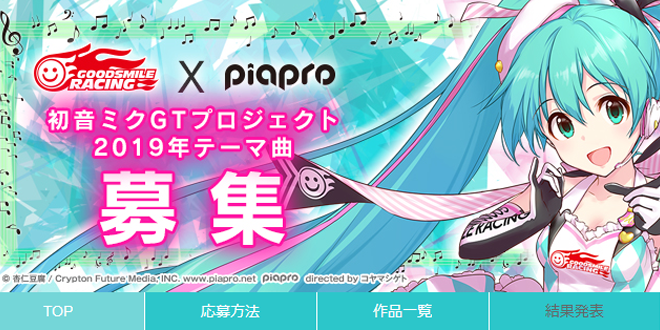 After being briefly teased last week, we finally have some more details about the new “Hatsune Miku GT Project 2019” theme song contest held by Goodsmile Racing and Piapro! Are you an aspiring producer? This may be the perfect chance for you to show off your talent! The two organizers are looking for a theme song for their beloved mascot “Racing Miku 2019”! This year, Racing Miku follows an “Idol” theme, so the song must fit it as well! Remember that in order to participate, you will need a Piapro account and add and lock the “２０１９年レーシングミク＿楽曲” (remove the quote marks) tag in your work when submitting it! The deadline is March 25th, 2019 at 17:00 JST! So make sure to join before that date! 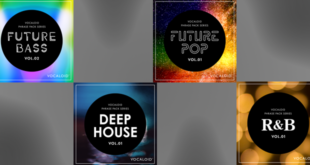 You can only submit original songs that haven’t been officially used by other organizations. Hatsune Miku shall be the vocalist. You can use her Appends, V4X, English and Chinese voicebanks. ※ You can also submit duets, choruses and such using Megurine Luka, Kagamine Rin, Kagamine Len, MEIKO and KAITO vocals. Just make sure Miku sings as well. The song must not exceed 4 minutes and 30 seconds of length. Submitted works must be in MP3 format. Don’t post your song on any website or SNS any other than Piapro before they announce the winner. By submitting your entry, you accept to follow our term of usage and submitting methods. Collaborations between people and companies cannot be submitted. Please do not change your e-mail address used when registering or when applying to the contest. In case of a claim of infringement from third parties to the entry, Piapro will not take responsibility for it and you shall resolve the issue yourself. Your entry needs to be original and never used or published for other contests. Please submit your entry before the deadline. Near the end of the contest, there may be more traffic and you might be unable to submit your work, so please do it before the time and date of the deadline. Entries submitted after the deadline will not be eligible, no matter the reason. Changing the information of the entry, such as the title, will not affect the work. The title of the entry might be omitted without Applicants permission. They will credit your entry using the name you chose to show in the website. In case there is no preferred name, they will credit you using your nickname/ID on Piapro. You agree for your entry to be used for promotion in the website and announcements, free of charge, without your direct approval. Your submission may be deleted, edited etc. without the applicant’s approval for organizers’ post and promotion purposes. The content and/or the application conditions may be changed without prior notice. In case of false statements or information during the application period, about your registered content, Piapro reserve the right to cancel your application. Be aware that after the entry is adopted, you agree that all copyright (including the rights prescribed in Article 27 and Article 28 of the Copyright Law) will be transferred to the organizer as soon as the work is adopted. Applicants may continue to publish the work on the website that is currently open, but the right to commercialize the work is attributed to the organizer and their designed third parties, so the applicants shall not exercise the author’s moral rights to them both. You can submit your song clicking here and following the instructions on screen! If you want to listen to the entries already submitted click here instead! 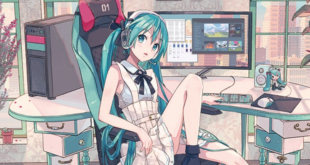 Your song will become the official Theme Song of Racing Miku 2019! Your name or logo will be included on the Hatsune Miku GT Project vehicle. A pair of tickets for one of SUPER GT 2019 races at your choice. You can only choose one of the three options above. We cannot wait to listen to the winning theme song of this contest! Will you join the competition? We will be here cheering for everyone! Stay tuned with us on VNN for all the updates about your favorite Virtual Singers! Next Hatsune Miku x Yomiuri Land Collaboration!